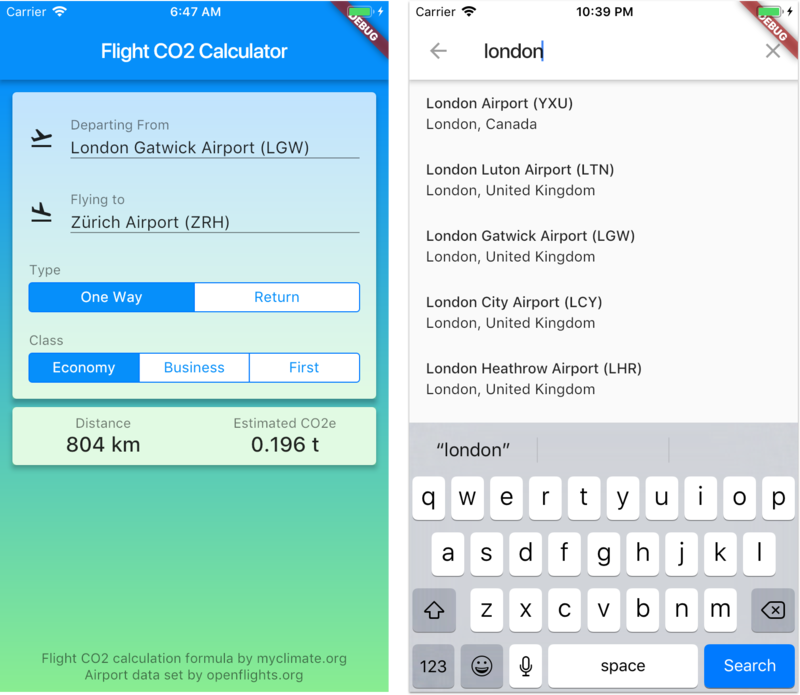 Demonstrates how to use the flight_co2_calculator_flutter plugin. line 10 col 10: Name non-constant identifiers using lowerCamelCase. line 11 col 10: Name non-constant identifiers using lowerCamelCase. line 12 col 10: Name non-constant identifiers using lowerCamelCase. line 25 col 16: Name non-constant identifiers using lowerCamelCase. line 20 col 12: Name non-constant identifiers using lowerCamelCase. Flutter package and sample app to calculate Flight CO2 emissions.